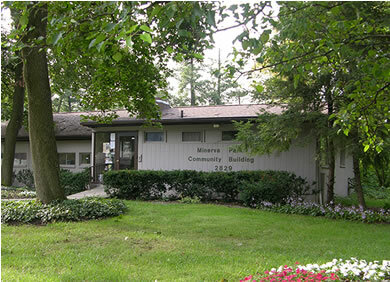 Located at 2829 Minerva Lake Road, this Court serves as a local judicial forum to rule on misdemeanor cases alleged to have occurred within the city’s limits. Here, an appointed magistrate presides over each case. These cases may include misdemeanor offenses such as theft, assault, and serious traffic offenses such as OVI/DUI, Hit Skip, No Operators License and Driving Under Suspension. The charges brought in mayor’s court can be serious with fines ranging from $250 to $10,000 and/or jail time from 30 to 180 days so it is important to have experienced legal representation. With a proven track record and familiarity with Minerva Park Mayor’s Court, Funkhouser Law provides premier legal representation in criminal and traffic cases. Mr. Funkhouser and his associate personally guide clients through every step of the process—from arraignment to evaluating the evidence in their case to ensure that clients receive the most favorable outcome with the least disturbance to their lives. Ultimately, the goal of the attorneys at Funkhouser Law is to obtain the best results for clients through a dismissal or a favorable negotiated outcome of their case. With a population of 1,272 people, the city of Minerva Park is a small suburb of Columbus located on the North Side. Surrounding Minerva Lake, Minerva park is situated between Cleveland Avenue and Westerville Rd., just south of Dublin Granville Rd., and can be easily accessed by I-71 or I-270. Monday – Friday, 9 a.m. to noon, at the Community Building. Community Building opens at 8 a.m.